German retail group Rewe is taking a minority stake in Rocket Internet’s online furniture retailer Home24. The deal is part of a wider push into online business. In April, Rewe Group CEO Alain Caparros admitted the group had underestimated online commerce and suggested a “kind of incubator” for startups could be on the way. The company also announced plans to bump up its online grocery delivery service. The details of the investment in Home24 – part of a capital increase – were not disclosed. “The entry at Home24 is a great opportunity to gain valuable new experience in online trading, learn from the best and link us further in the eCommerce scene,” Rewe Group management board member Lionel Souque said yesterday. Berlin-headquartered Home24 started operations in 2009 and now covers Germany, Austria, France, the Netherlands and Brazil (as Mobly). In 2012, Home24 brought in net revenue of about €64m, up from €26.4m in 2011 – still lagging behind Rocket Internet’s apparent ambition to “take down Ikea”. The company’s other shareholders include Swedish investment group AB Kinnevik, JP Morgan and Holtzbrinck Ventures. Kinnevik has so far put in about €92m in exchange for 36 per cent ownership (24 per cent direct; lifted to 36 per cent including Kinnevik’s stake in Rocket Internet). 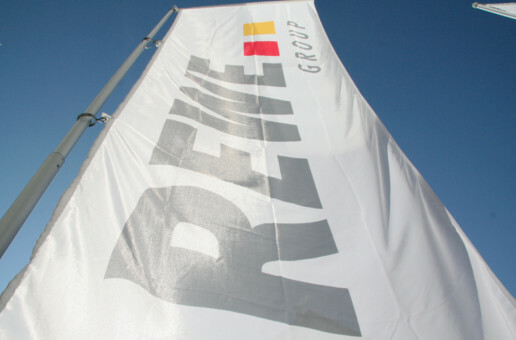 The Rewe Group, best-known for the supermarket chain of the same name, recorded revenue of about €50bn in 2012. It employs 327,000 people in 13 countries in Europe. How much did Rocket Internet’s companies bring in last year?